Following on from the layered space-echo techno of MLZ's debut "Dark Days" EP we can finally bring you this one-sided follow-up, pressed up in a strictly limited edition of 350 copies for the world. Crossed Swords (Alice Loop) has for some time been something of an anthem at modern love HQ, revolving as it does around intense towering cymbals and an implacable momentum that's one part chicago house, one part edgy bass music and one part spiritual jazz, while sounding quite unlike any of the above. 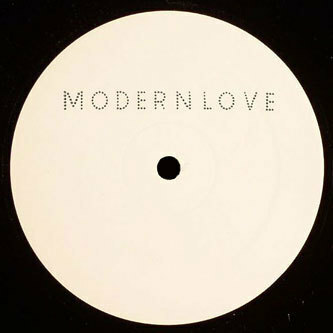 Recorded as a tribute of sorts to Alice Coltrane and about as robust and uplifting as you can imagine, DJ Miles' deep love and thirst for music from all ends of the spectrum seems to be bringing to life something quite special indeed, fuelled by crushing percussion and, of course, that forever squashed bass. KILLER TWELVE!